Swope Law - History of Swope, Rodante P.A. 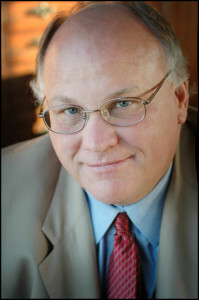 Dale Swope started his law firm 6 months out of law school as a solo practice in 1979, Swope Law was formed in 1997 with a handful of lawyers and a total staff of about twenty. 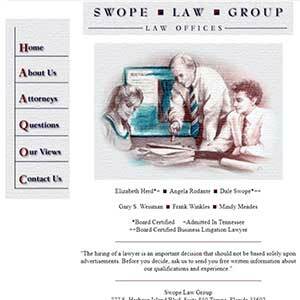 In 1998, Swope Law would launch its first website SwopeLaw.com. Swope Law (now known as Swope, Rodante P.A.) went on to represent thousands of clients throughout Florida, Georgia, and other areas of the country. Swope Law’s capabilities were enhanced beyond that of typical firms through the use of modern litigation support equipment and a complete on-site law library. Swope Law believed in fighting for the little guy and trying complex cases that other attorneys didn’t feel comfortable taking on. It’s these principles that Swope Law still carries today as Swope, Rodante P.A. 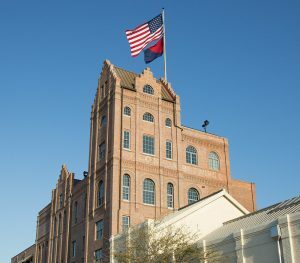 In 2001, Swope Law moved to one of the most historic properties in Tampa – the old Florida Brewing Company building, once home to La Tropical beer in Ybor City. Dale Swope’s vision was to preserve the history of the building, and by restoring the property and preserving its historic integrity, he did just that. View more of Swope, Rodante’s community efforts. In 2003, Angela Rodante became a managing partner of Swope Law, which was renamed to Swope, Rodante P.A. The name change from Swope Law to Swope, Rodante P.A. represents an increasing amount of collaboration among the best personal injury and insurance bad faith lawyers in Florida. Now, Swope, Rodante P.A. has grown to include teams of attorneys who are leaders in their practice areas – learn more about Our Attorneys. Swope Law handles many different types of personal injury cases. The leading Tampa Bay Personal Injury Attorneys have you covered. If you’d like to speak to an attorney about an injury or would like to learn more about co-counseling with us, please contact us at swope@swopelaw.com or call us at (813) 273-0017.